04 Mart 2019 Pazartesi 20:00 - 8 reads. In March 2010, Greece has ventured for the last time with a ten-year government bond on the capital market, a few weeks later, the country's financial assistance requested. Now a new bond issue is planned, in good sign. The Greek government is planning for the first time in around a decade, a ten-year government bond. 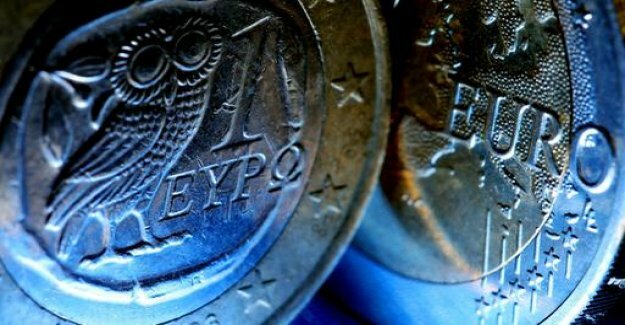 It is about two to three billion euros to be raised from the capital market, the Greek debt Agency PDMA. Accordingly, the papers are to be issued this week. The time is right: Just recently, Moody's raised the credit rating of Greece by two notches to "B1". The US rating Agency justified this with the good development on the labour market, the economic upturn and the positive development in the debt. in March 2010, there had been no exposure to Greek government bonds with ten years to maturity more. At that time, the country had borrowed five billion Euro at an interest rate of 6.25 percent. However, Athens had to apply for only a few weeks later, international aid, to save themselves from Bankruptcy. The Greek government wants to borrow again in the future, regular money from private investors, after the country was virtually dependent of ten years, donors such as the EU institutions and the IMF. In January, had lent to the government by means of a five-year bond of around € 2.5 billion. The issue was oversubscribed more than four times.